Join your neighbors at Applebees for delicious food, friendly service and a hometown atmosphere that cannott be beat. From American classics like our Applebees House Sirloin to signature dishes like our Fiesta Lime Chicken, Applebees is the place for great food and good times. Stop by today and see whats new in the neighborhood. 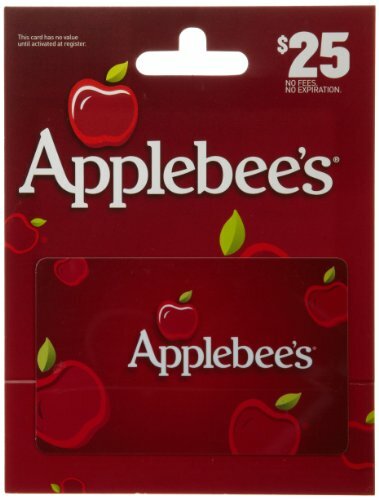 with Applebee’s Gift Cards, it’s the taste that counts! 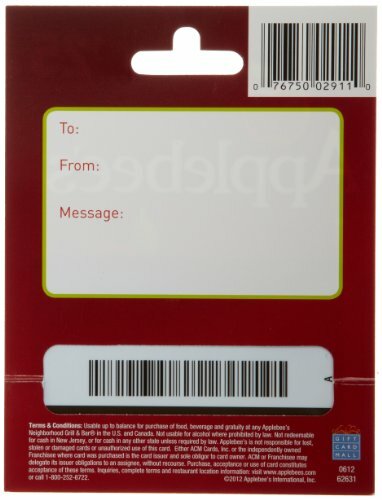 Redeemable at Applebee’s in the U.S. and Canada.